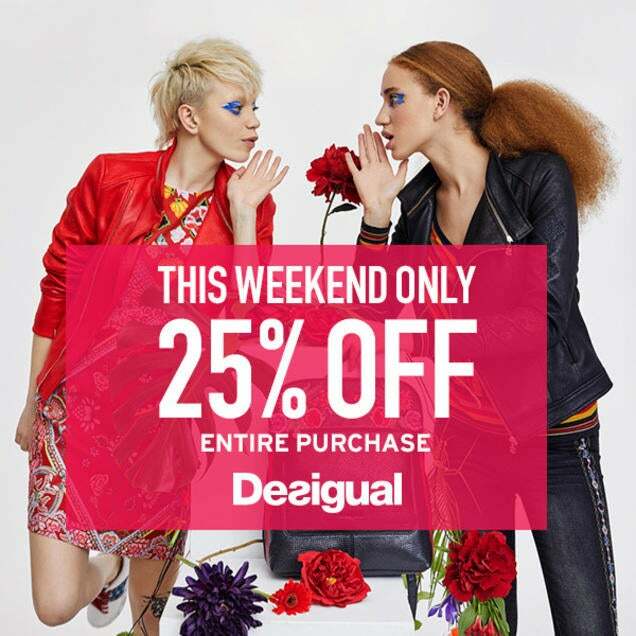 Desigual Friends and Family event this weekend only, 25% off entire purchase. Grab a friend and head to Desigual! Friends and Family event this weekend only, 25% off entire purchase. *Cannot be combined with other offers or coupons. Discount applies to new collection only, excludes sale.